We’re sure you’ve heard of at least one beauty myth out there and wondered if it really worked: utilizing toothpaste on zits will make them go away, it’s possible to diminish your pores or sleeping on your back prevents wrinkles. Are all of these really true? 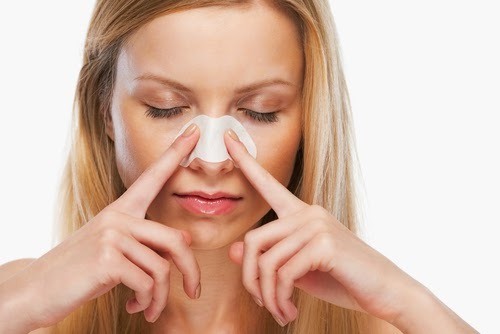 We’ve debunked some of the typical beauty myths so you can finally get the truth. Putting mayonnaise on your hair will make it shinier: Although mayo contains an oil base and it will make your hair glossier, this process can get messy. In order to steer clear of a major clean up, try the following: “Apply a cup of mayonnaise mixed with a teaspoon of vanilla extract (to cut the mayonnaise scent) to dry, unwashed hair. Cover your head with a warm towel to help the mayonnaise penetrate, and leave it on for 20 minutes. Before you step into the shower, apply a heaping handful of shampoo to your hair. Don’t add any water yet; just massage it in thoroughly for several minutes,” according to www.realsimple.com. You can diminish your pores: Although it’s unfeasible to actually alter the size of your pores, it’s possible to make them appear smaller. Applying egg whites to your face tightens the skin, making your pores look smaller, however, this is a short-term effect. Crossing your legs can create varicose veins: Although sitting down and crossing your legs will not cause varicose or spider veins, standing might. Standing makes the vascular network work more strenuously to pump blood from the legs up to the heart. The valves duty is to continue to flow blood in one direction within your vessels. If the valves aren’t working correctly, the result may be a pooling of blood, which then produces unattractive veins. Applying toothpaste can help get rid of pimples: Toothpaste typically is comprised of methanol, which has the ability to help dry out a pimple. However, the other ingredients within toothpaste can aggravate your skin. Sleeping on your back help prevents wrinkles: There may be slight truth behind this one. As you grow older, the collagen and elastin fibers within your skin begin to break down. When you lay with your face buried in a pillow and place pressure on the fibers for several hours from time to time, your skin becomes less probable to pop back. However if you typically favor one side of your face to the other when sleeping, the side you sleep on will usually have more wrinkles.